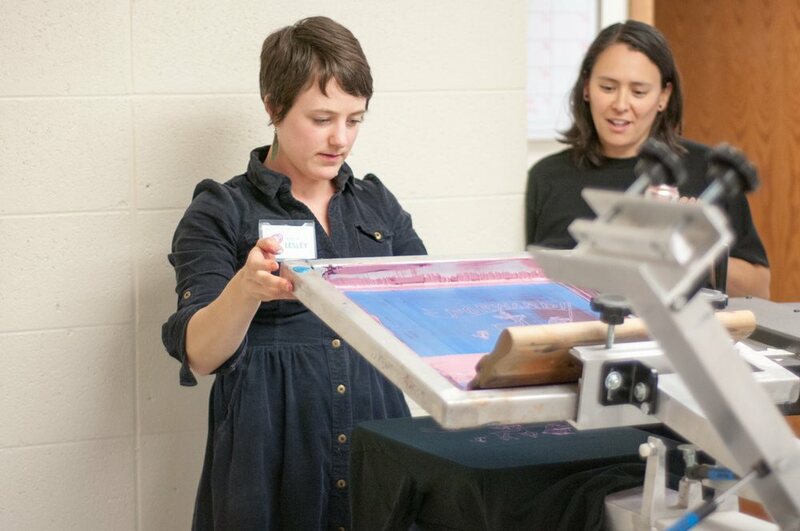 Sunday, February 7 from 1:00-4:00 p.m.
Show some love for local art and printmaking! 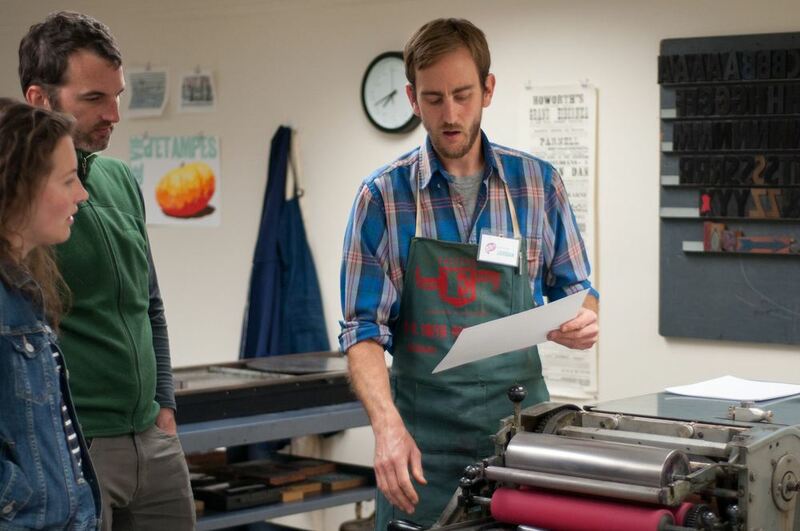 Join us for an afternoon of Valentine making, letterpress and screen printing demos, and sweet treats. Print your own Valentines or pick up a few cards or gifts made by Polka members. Paper and ink provided; feel free to bring t-shirts or tote bags to print on. All ages are welcome! Thanks so much to everyone who came out to our grand re-opening celebration! After a summer of frenetic fundraising, moving, and reorganizing, we were excited to welcome the community into our new, expansive studio space. Our neighbors at Banzo were gracious enough to set up their food truck in our shared parking lot during the event. We had a fantastic time pulling Wisconsin-themed prints and tees with all of our visitors. Save the Date for Polka’s Grand Re-opening! Polka is settled into a beautiful new home (really! ), and we can’t wait to show you around. Join us this Fall Gallery Night to celebrate our move and see our expansive studio space. We’ll have art for sale, screens and blocks to print from, and plenty of snacks and pleasantries to share. Hope to see you there!